I read regular fiction, non-fiction, often YA fiction, but I love, love graphic novels. It can be the perfect merriment of adult themes and the graphic format. And there is satisfaction I receive from reading graphic novels that is unequalled in other genres. Much like young children love reading picture books, the graphic novel allows you to engage in both the narrative and the pictorial representation at once, both needing you to engage and interpret these layers. That, and they’re a quick read! 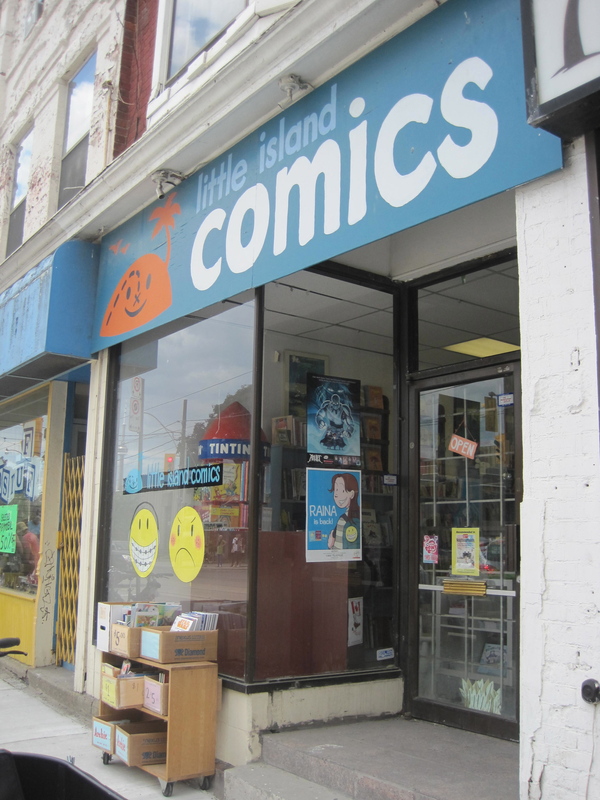 Today, I had an appointment at Little Island Comics that specializes in graphic novels and picture books for kids. I was on the look out for new titles to stock in my library and get the scoop on new volumes of familiar series. What a great little store! If you are in the Toronto area and are looking for children’s picture books and graphic novels, this is the place. The staff is extremely knowledgeable, the collection well curated and the atmosphere is fresh and inviting. Popular with grade school students: Bone series by Jeff Smith, anything by Doug TenNapel, Chi Sweet Home series by Konami Kanata, Babymouse series by Jennifer and Matthew Holm, Amulet series by Kazu Kibuishi, anything by Raina Telgemeier and what started it all for me, The Invention of Hugo Cabret by Brian Selznick.